Don’t you just love when a problem is solved? We didn’t want to use a foreign color on this piece. All the commercial threads were just wrong. 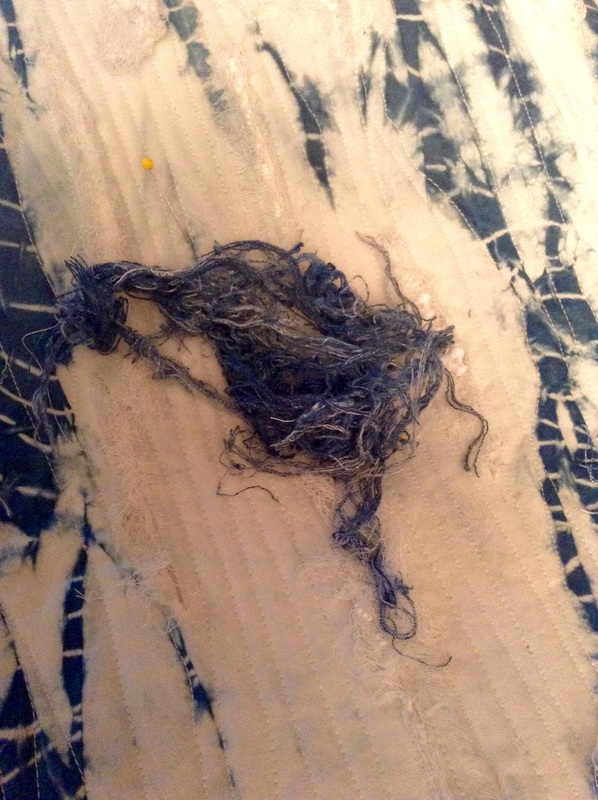 While getting samples ready for a presentation on natural dyeing to the Master Gardeners, I trimmed loose threads. Light bulb moment! The threads are from the same indigo vat we dyed the background in. The stitching can continue!